It is with sincere sadness that we report the passing of Mr Stan Sindel, Life Member of the ASNSW and recipient of the Order of Australia Medal (OAM) for his services in the field of aviculture. Stan passed away last Saturday after a long illness. 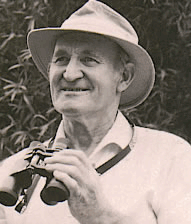 Stan was a pioneer of aviculture in Australia and a respected world expert on many parrot species. Stan will be much missed by the avicultural world. Our heart felt sympathy for Stan's wife Jill, his family and friends, and for all who knew and loved him through his passionate life's work in the field of aviculture. Please feel free to distribute - print in newsletters or email. 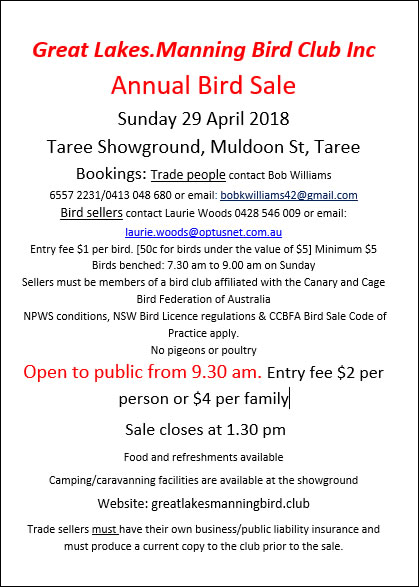 2017 Bird Fair and Wildlife Expo at Sydney Olympic Park (Newington Armory) from 3rd to the 5th November. "Protecting the most important places in Australia for migratory shorebirds." It is with sadness that we report the passing of Russell Kingston. To everyone's great shock we recently lost a great champion for birds in general and finches in particular, in the untimely and sudden death of Russell Kingston. Russell was a favoured son of aviculture and an absolutely outstandingly gifted bird breeder. Russell was a wonderful communicator – lecturing extensively and writing in magazines, and producing books which resulted in huge welfare benefits for birds. Associated Birdkeepers of Australia Inc. (1 July 2017) Powerpoint presentation (PDF format). 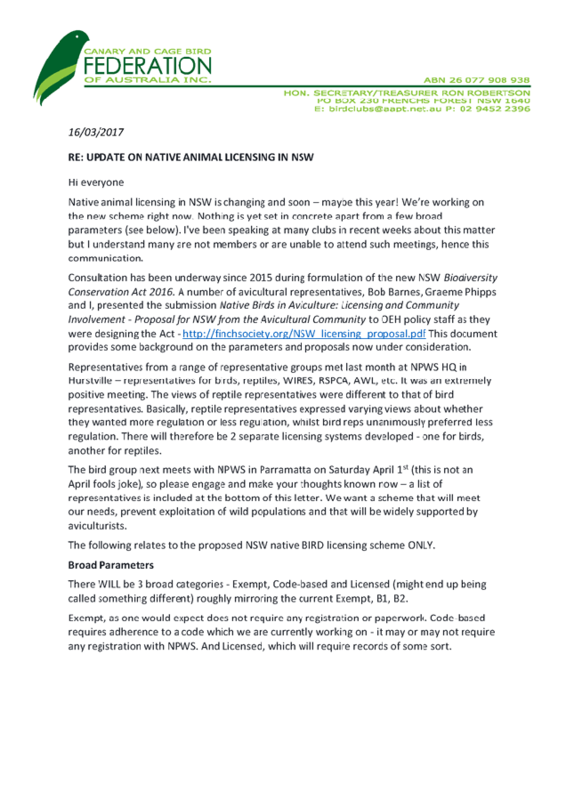 Update on the NSW native bird licensing review process. It is with sadness that we report the passing of Keith Gallagher (revered aviculturist and owner of Aviculture Accessories). Our sympathy is expressed for his family and friends and all who knew and respected him in the field of aviculture. He will be greatly missed. His funeral will be held next Wednesday 15th March 2017 at 10.00am at Castlebrook Memorial Park, 712-746 Windsor Road, Rouse Hill NSW 2155 (opposite Rouse Hill Shopping Centre). Did you know The Avicultural Society of New South Wales Inc. in partnership with The Finch Society of Australia Inc. and others, are staging a 'threatened species in aviculture display' for the duration of the Sydney Royal Easter Show this year? We have 7 species and 7 aviaries in the pipeline. The display will be located in Hall 3 the 'Pet Pavilion'. There will be a very large banner outside identifying the pavilion as such. Hall 3 is just before the showbag pavilion. Gates open at 9:30am and the Pet Pavilion closes each evening at 8:30pm. Following are 3 of the draft banners for the aviaries. and the Golden-shouldered parrot (Psephotus chrysopterygius). 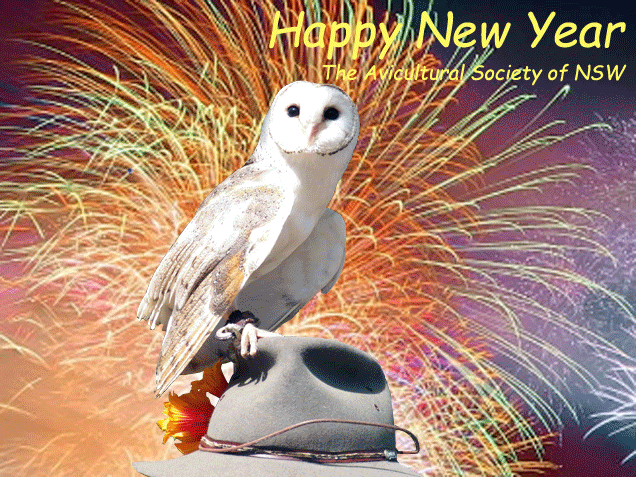 Happy New Year (2017) to all our members and their families and to all our followers on social media. Wishing you and all your feathered friends a very happy, healthy and properpous 2017! Prizes (10 prizes in total)! "Mystery Wildlife Park Behind the Scenes Tour" for the family including cuddle a Koala and lunch (donated by Graeme Phipps). Hot Box (suit finches or small parrots) (donated by Paul Henry). Limited edition lithographic print of Chaffinch (donated by Jack Stunnell). Alasdair McGregor (donated by Phil Ashby). Magazine Subscription to Talking birds. Choice of parrot book by Single Press Ltd (donated by Jim Gill). To: Avicultural Society of NSW Inc.
Hope your week has been good. The 63rd Sydney Film Festival is running this June 8-19, opening in just two weeks! We would like to recommend a film that you may be interested – Night Parrot Stories. The film is an ode to this elusive nocturnal bird. Award-winning director Robert Nugent riffs on the myth-like search for its existence in the remote deserts of Australia. 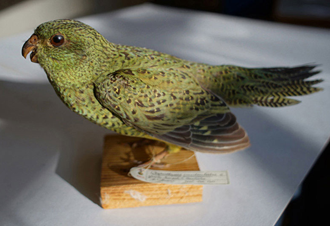 When Nugent (End of the Rainbow, SFF 2008) set out to make his film, the night parrot hadn't been seen for more than 80 years and was presumed extinct. The mystery of its ecology haunted many an ornithologist. In 2013, a live parrot found in outback Queensland reignited the search: but that isn't Nugent's focus. Instead, he captures stories of the bird's existence from Indigenous communities, literary mentions and tatty specimens in European museums. Perhaps the bird – like a stencil – can be perceived by the shape of the world around it? As Nugent searches for the 'bird lost in the darkness', he reflects on time and loss, weaving his thoughts and discordant images into an intensely imaginative film. The screening of the film is scheduled on Sunday 19 June 1:30 PM at Event Cinema George Street, Sydney. The director and the cinematographer Robert Nugent will also be there. We would love for you to share these with people who might be interested, and please feel free to circulate this information in your newsletter, social media and networks. If you need any more information, please feel free to respond to this email. Thank you. Don't forget our special Christmas raffle this year - great prizes with first prize being a weekend away at Potters Cottage in the Blue Mountains nestled below Mount Blackheath in the beautiful Kanimbla Valley. Thank you to Mark Baker for his support and very generous donation. 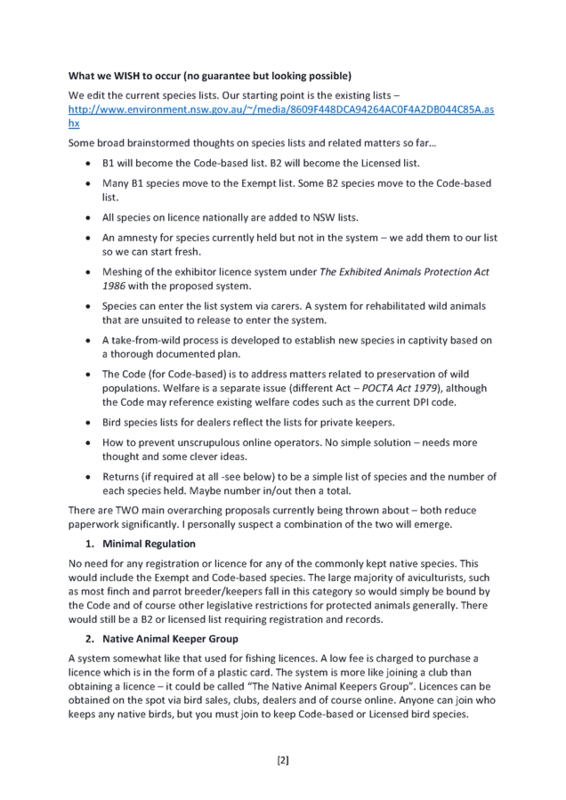 Did you know all native bird licensing in NSW is under review? The Finch Society of Australia (FSA) is currently gathering input with a view to finalising a submission at the end of July. FSA President Sam Davis is speaking to this issue over the next three evenings. Wollongong Finch Club on Monday 6/7 at 7.30pm. Live Video Streaming at our April Meeting 2015! Daniel Gowland from PPC Priam Psittaculture Centre will present on "Avian Importation" and what in particular he would like the ASNSW to do to help! EXCITING NEWS - as part of our DIAMOND JUBILEE YEAR celebrations Daniel's presentation will be LIVE STREAMED on our YouTube Channel at 8:00pm AU EST during the meeting. We need your input on this very important topic both nationally and internationally! Please find below the direct link to the YouTube Live Stream scheduled for tomorrow night: https://www.youtube.com/watch?v=LUpYzJimdpY. Users can also find it easier by going directly to the Society's YouTube Channel here: https://www.youtube.com/user/AvicultureNSW. Please feel free to advertise this link to any interested parties. "Western Rosellas will no longer be trapped during the breeding season and there will be no more trapping of other parrot species during the breeding season. 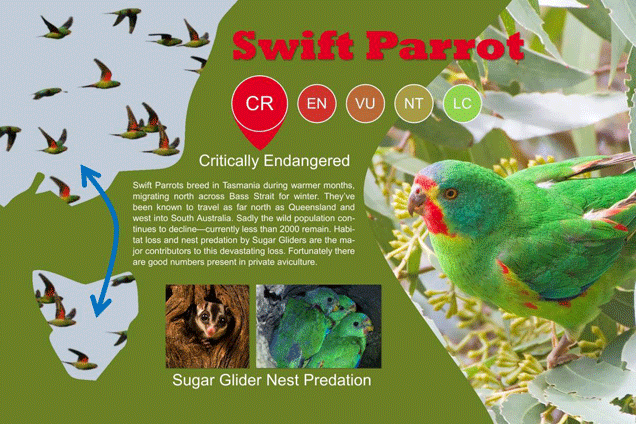 No culling of pest species parrots will take place during the breeding season. Parks and Wildlife have acted swiftly on this complaint and must be congratulated even though good management would never have let this happen. On my own it was impossible to get change so a very big thanks must go to everybody who has supported this page. Just by taking the time to comment and show your concern has forced change. It is our environment and wildlife we are trying to protect and thanks to you we are making small changes for the better." Parks and Wildlife bow to pressure from the avicultural industry! 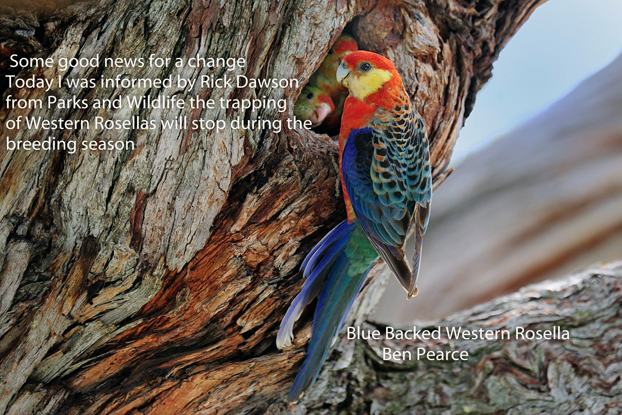 Please find attached article to announce the end of Western Rosella trapping. I have been informed by Parks and Wildlife that the trapping of Western Rosellas will stop from the 31st of August 2015 with a reduced quota from 200 down to 100 birds for the last season. After 20 years of fighting to get full protection for a bird in serious decline it is good news. 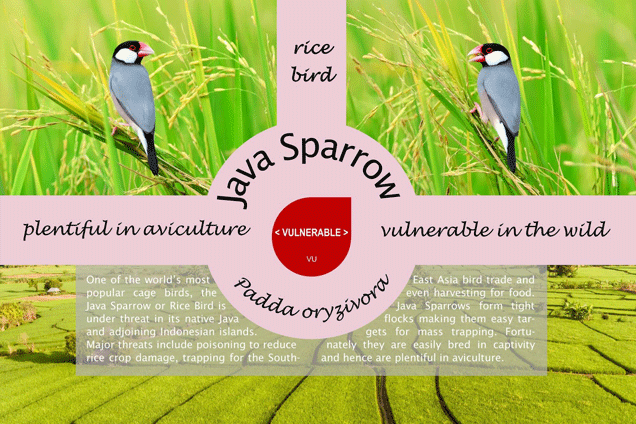 This announcement only happened because of the great support from the many bird clubs and aviculturists who have displayed a great interest towards the conservation of a bird that has been very poorly treated. Western Rosellas were listed as vermin for many years and therefore a large and very successful effort was made to reduce their population. Listed alongside other vermin such as Foxes, Cats, Rabbits and Starlings this lovely gentle parrot soon started to disappear from many shires. Viewed so poorly they could still be shot in some shires even after they had been declared locally extinct. Western Rosellas were hunted and shot by the millions for around eighty years without ever committing a crime. In 1998 after a long battle with CALM Western Rosellas were removed from that list and finely the shooting stopped. 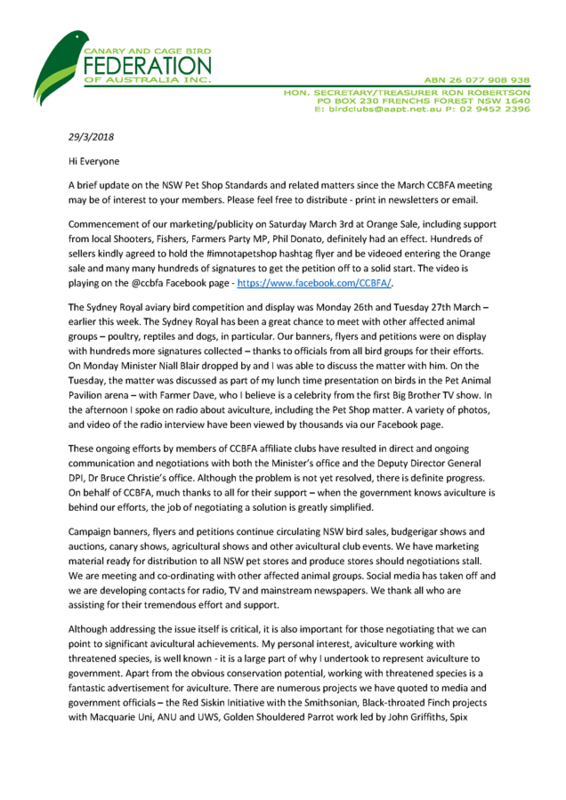 We started writing to the Government as well and Parks and Wildlife about ten years ago for a cessation to the trapping of Western Rosellas. Every Environment Minister both Labour and Liberal received one or more letters. The answer has always been the same, and as late as January and again in February this year the Minister Albert Jacob said the trapping would continue. But Western Rosellas were about to get two lucky breaks. Trapping only continued so long because very few people knew it was happening. The first lucky break was when my daughter introduced me to social media and started a public Facebook page. The second break was making contact with John McGrath of Yass NSW. John got my articles published in magazines all over Australia and around the World. The outrage to trapping a declining species for greed was prompt and within a few months it was evident cracks were appearing. The unwanted attention that comes with this sort of behaviour was having an effect on Parks and Wildlife. After years of trying to get what should have been a common sense outcome the end came swiftly because of public awareness. Thanks must go to my daughter Deka Maxwell and John McGrath for their efforts in getting it out to the wider public. I would like to thank the Avicultural Society of Australia Inc in Melbourne, Parrot Society of Australia in Qld, Talking Birds, Avicultural Society of NSW, The Far North Queensland Bird Breeders Club and the Illawarra Parrot Club, for their support. 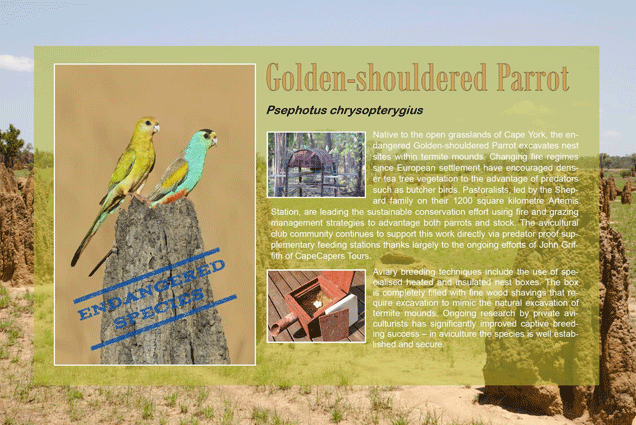 The Parrot Society of The Netherlands, Exota of Czech Republic, England and Dagboek a bird club in Holland all helped with coverage of an industry that needed to be stopped. One of the biggest disappointments was Birdlife Australia a massive organisation to look after the conservation of birds. 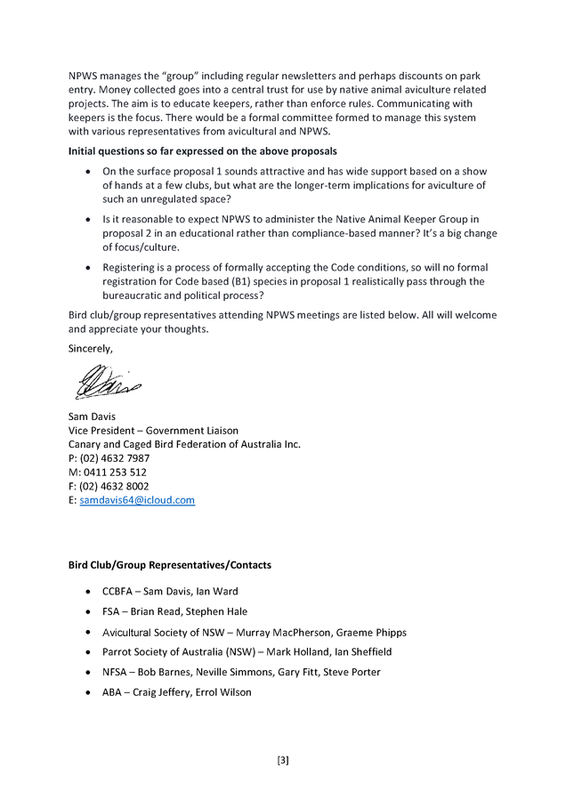 There was early support but Parks and Wildlife an organisation that regulates the destruction of birds is holding positions within Birdlife Australia which appears a conflict of interest and as such their support soon dropped off. One Hundred Western Rosellas may not sound many for the final year but the situation has become so desperate in the allocated trapping areas it will not be possible to catch anything like that. Trapping of Rosellas takes place in two different areas by different trappers. Last year I wrote to the head of Species Dr Ken Atkins at Parks and Wildlife to explain my studies showed they had trapped Western Rosellas to the point of extinction in the southern trapping area. I predicted as little as 20 birds would be caught and in fact with so few birds left, the trapper chose not to trap. The few birds that were caught came from another area but being an unregulated industry no one can say where. There are areas like Pemberton where Western Rosellas can still be found in good numbers so as a species they can't be judged as vulnerable. We no longer have Rosellas visit our garden so for me local extinctions are heartbreaking. Inland Westerns are in big trouble and they can't be trapped under any circumstance. Very few people are lucky enough to see an Inland Western these days and if the decline continues at the current rate no one will. Will the end of trapping make a big difference? Probably not in the allocated trapping areas because those populations are so exhausted they may never recover. It is my hope there will be a softening of attitude towards Western Rosellas from Parks and Wildlife. Let's hope they get the care and understanding afforded some of the other parrots and the decline of this beautiful species can slow. I have campaigned to all the major bird shops in Perth and they have agreed not to accept trapped Western Rosellas from this last harvest. Traditionally Birdworld has taken most of the Rosellas but has now shifted into smaller premises and I believe they do not have the room. This has left the trappers looking for a new market to sell their birds. Hopefully if all the dealers stand up the trapping of Western Rosellas may be already over. I have been informed that the Western Australian Wildlife Authorities have announced the cessation of trapping of the Western Rosella for the pet/aviary trade. I am writing a thankyou to everybody who helped and will send next week. It will outline the facts and a bit of the history of how we got to this point. I can confirm that the licensed trapping of Western Rosellas will cease after 31 August 2015. No trapping of Western Rosellas will be permitted after that date. The following article by Ben Pearce was emailed to us on Wednesday, 21 May 2014. Please do not hesitate to contact us if you have any thoughts or comments that you would like to share with us on this subject. For about 80 years the Western Rosella (Platycerus icterotis) has been legally pursued, hunted and trapped in an effort to reduce their population. The stated necessity for this reduction being that they are said to damage valuable food crops, in particular fruit. These population culls continue despite numerous studies indicating that this bird species do almost no damage to the fruit growing industry. This systematic obliteration has been so successful that the Western Rosella is now extinct in the northern and eastern wheatbelt areas and is struggling to maintain wild populations in many other areas. Even in its strongholds the decline is continuing and they are almost gone from traditional trapping grounds. The protectors of these parrots, the WA Parks and Wildlife, have fiercely defended their right to trap this species of bird - harvesting this bird for the live Parrot trade even though they are in serious decline. This government supported trapping industry is mindset" left over" from Australia's colonial days where the bush was thought to have an endless supply of wildlife and resources to plunder for profit. For nearly fifty years ornithologists and bird lovers have relentlessly been trying to educate the Western Australian Government about the benefits of conservation regarding this indigenous bird species. Not only is this parrot in serious decline, the process of trapping and then selling on trapped birds is horrific. Nearly half of the birds will die an atrocious death generally as the result of massive head trauma while trying to adjust to aviary confinement. These deaths are linked in turn to the profit inherent in the industry of harvesting Western Australia's precious wildlife. The sensitivity and care needed to manage this beautiful species has long been forgotten in the pursuit of profit. Western Rosellas are a lovely, gentle parrot unable to withstand the barrage of shooting and trapping. A legalised barrage that has also been inflicted on other parrots e.g. Red Caps and Australian Ringnecks. Western Rosellas need to be afforded extra care and protection to avoid further decline. 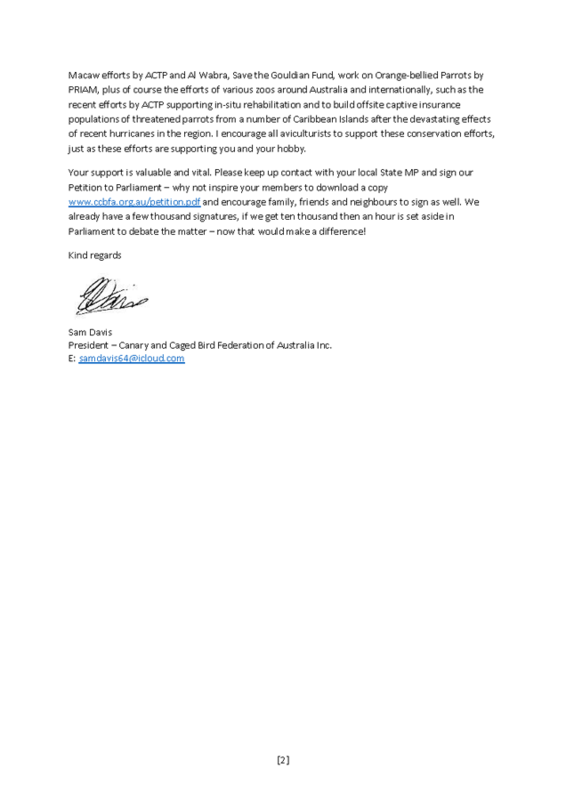 Wildlife is part of Australia's heritage and the pleasure of seeing and enjoying them in local parks and gardens should not be denied to future West Australians through the actions of an incompetent and remiss Government Department, Parks and Wildlife. But in some ways for the Western Rosella there may eventually be a happy ending. The trapping of Western Rosellas looks to be coming to an end, simply because the demand for these trapped, wild birds is dwindling. WA Parks and Wildlife may finally be put out of business by the pet industry themselves. Bird store owners are no longer seeking to purchase trapped birds. Most bird dealers suggest that the mortality rates in the trapped parrots is so high that it is not profitable for them to keep buying from the legalised trappers. They also suggest that the murky connotations held by the public concerning the trapping industry (sponsored by WA Parks and Wildlife) deters any would be buyers. The support from the bird breeders themselves towards the conservation of the Western Rosella has been fantastic and our Environmental Departments could take a leaf out of their book.